Armor Time! Best match! Build! "Masked Rider Geo Build Armor" appeared in S. H. Figuarts. The coloring made of silver and black with shiny armor is also reproduced with the image in the play. 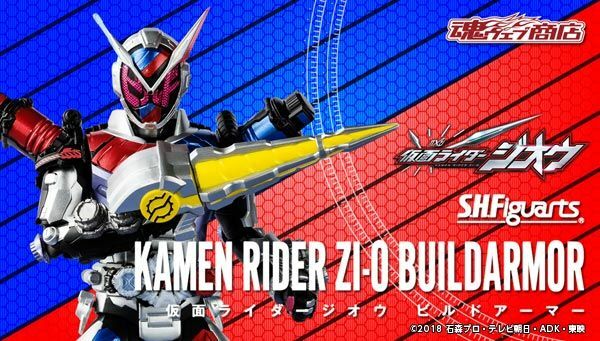 Kamen rider build emerging when wearing Armor comes with a wrist part that can also reproduce the pose decided by the build.